They say history repeats itself. 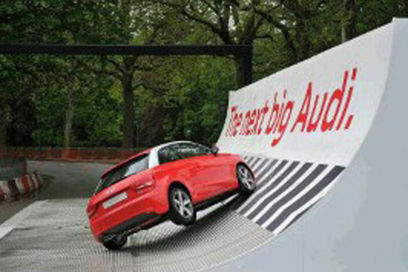 Audi launch their "smallest" A1 range of cars and promptly repeat Mercedes' well documented mistake of rolling one during a demo. Q flushed red faces and much camera groping to hide the evidence.